in the Village is the shape of the lots – most are long, narrow lots that allow for access to irrigation water. 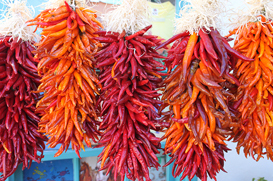 The Growers Market and the Arts and Crafts Fair are on-going events in Los Ranchos de Albuquerque. Ranchos de Albuquerque Real Estate Guide.